Harav Shmuel Kamenetsky (born November 1924) is a Haredi rabbi and founder and rosh yeshiva of the Talmudical Yeshiva of Philadelphia. He is one of the best-known living Haredi Litvish Jewish gedolim outside Israel and the best-known son of Rabbi Yaakov Kamenetsky (1891–1986), one of America's greatest Torah leaders. 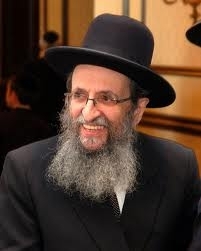 Harav Shmuel Kamenetsky was a primary talmud of Harav Aharon Kotler, from whom he received semicha. Prior to studying in Harav Aharon Kotler's Lakewood Yeshiva, he learned in Ner Israel Rabbinical College under the tutelage of his father's cousin, Harav Yaakov Yitzchok Ruderman.